I find this app really handy because I have a stack of groups that I have created in my Apple Contacts. I’d like to be able to send out bulk emails or a group SMS message to these people from my Android phone. 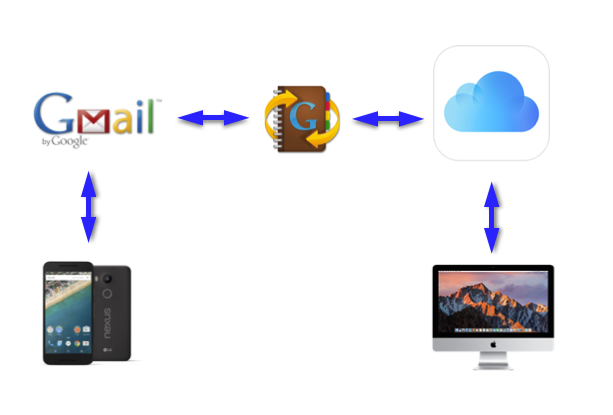 The problem is that Apple and Google are enemies so iCloud will not sync with Gmail. 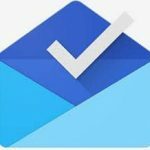 ‘Contacts Sync for Google Gmail’ connects these 2 worlds of iCloud and Gmail together. This picture explains it all. 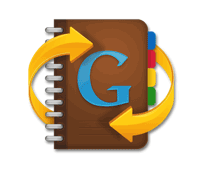 ‘Contacts Sync for Google Gmail’ synchronises your contacts between Gmail and iCloud. 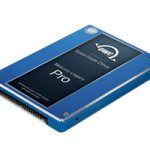 Note that this is not syncing your Apple computer directly with your Android phone. The synchronisation is being done ‘in the cloud’. 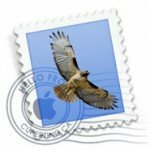 Once Gmail (on the web) and iCloud (on the web) are in sync it flows down to everything else (your phone and computer) automatically. 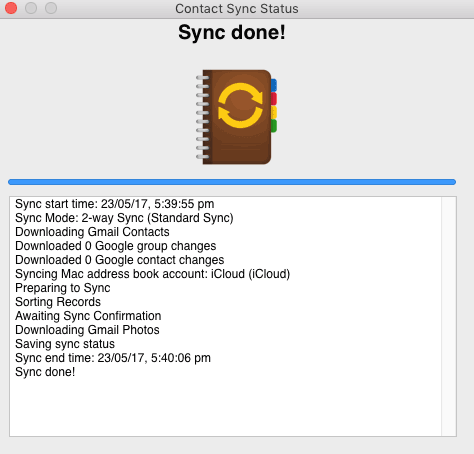 Gmail and iCloud are synched in the cloud by ‘Contacts Sync for Google Gmail.’ Then Gmail synchronises with your Android phone while iCloud syncs with your desktop computer (and iOS devices), which means everything is kept in sync. 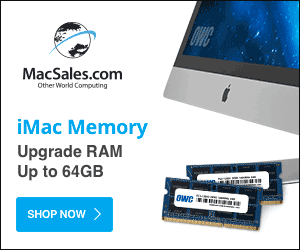 Step 2: The first thing you need to do is enter your account details for your Google account and your Mac iCloud account. 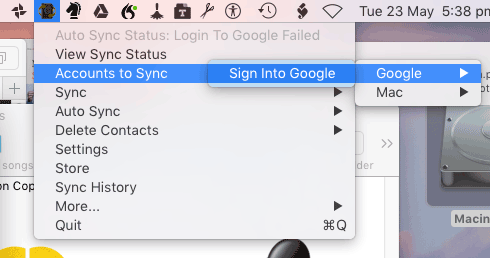 To do this go to ‘Accounts to Sync’ and log into Google and then log into Mac. 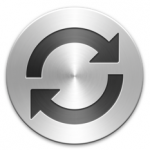 2 way sync will merge all your contacts together. 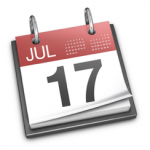 Gmail –> iCloud will delete all your iCloud contacts and import your contacts from Gmail. 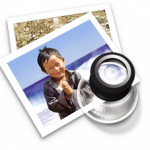 iCould –> Gmail will delete all your Gmail contacts and import your contacts from iCloud into Gmail. After the sync is complete it will notify you of which contacts were updated. 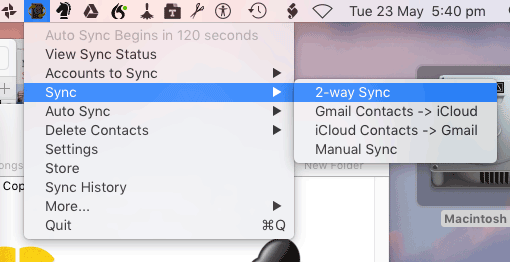 You can keep the app running in the background and select ‘Auto Sync’ so that changes to either iCloud or Gmail are copied across. Otherwise you can manually sync when you want to. Thankfully Gmail has the ability to find duplicate contacts and to merge them together. (You can’t do this in the Apple Contacts so the merging needs to be done on the Gmail side). 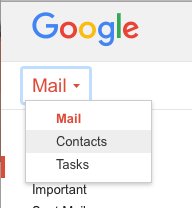 To merge contacts, firstly log into your Gmail account and select “Contacts” under the “Mail” menu. 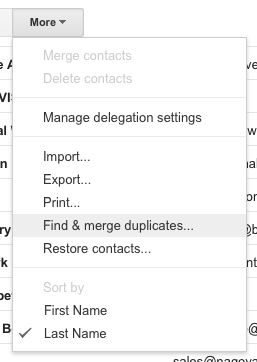 Now go to the “More” menu and select “Find & merge duplicates…” This will find all the contacts that have similar data. Don’t worry, it will prompt you with all the contacts it has found and prompt you to continue before it merges them. 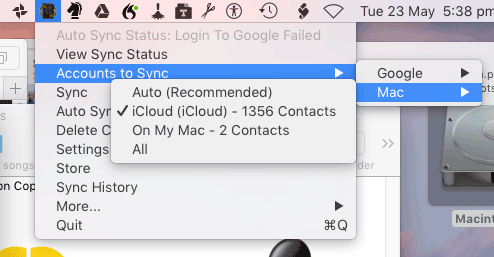 I found that I had to use contact sync to sync between iCloud and Gmail, then I ran find and merge duplicates, then I synced again, and so on, and after I had done this cycle for five times all the duplicates were removed. 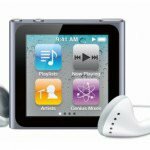 How to fix up broken address book sync How to sync your Address book across computers and iphone How to sync information between your Macintosh computers, iPads and iPhones. How to get your address book contacts into your mobile phone How to access your gmail contacts from Apple Contacts app.